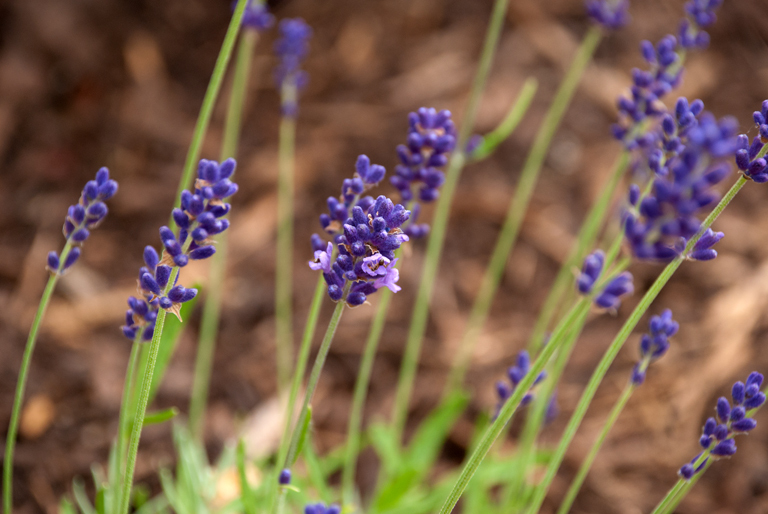 Lavender is one of those plants that even the non-gardening population have heard of and it’s one of my favourites because it’s a really versatile plant that can be used in so many different situations. 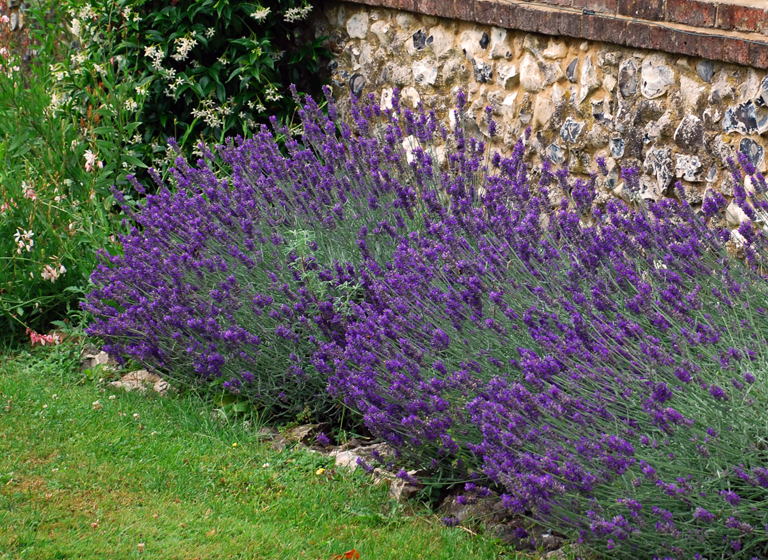 Lavandula angustifolia is English Lavender and ‘Hidcote’ is one of the most common varieties. It’s fully hardy which means that it can easily cope with the British climate. The lavender I planted in my front garden is just coming into flower and it won’t be long before the bees are busy collecting nectar. 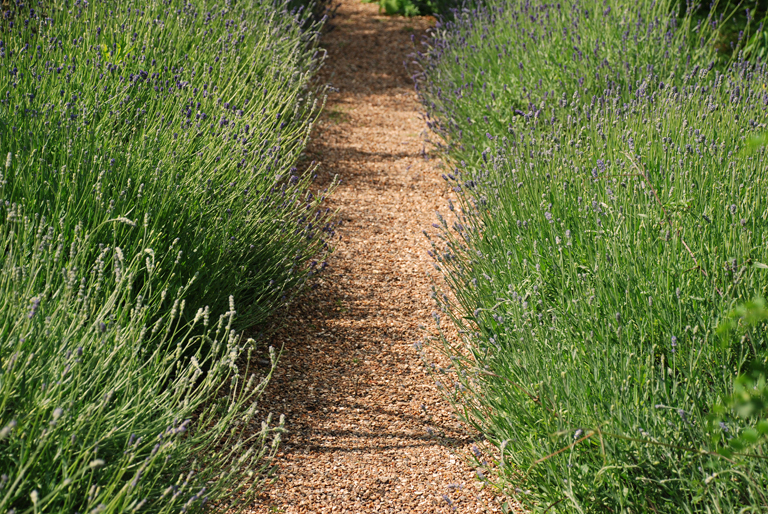 Lavender can be used for hedging, in a mixed border, in planters and for gravel planting. It prefers to be planted in a sunny sheltered position in well-drained soil but from experience it can tolerate a bit of shade as long as it gets plenty of light. 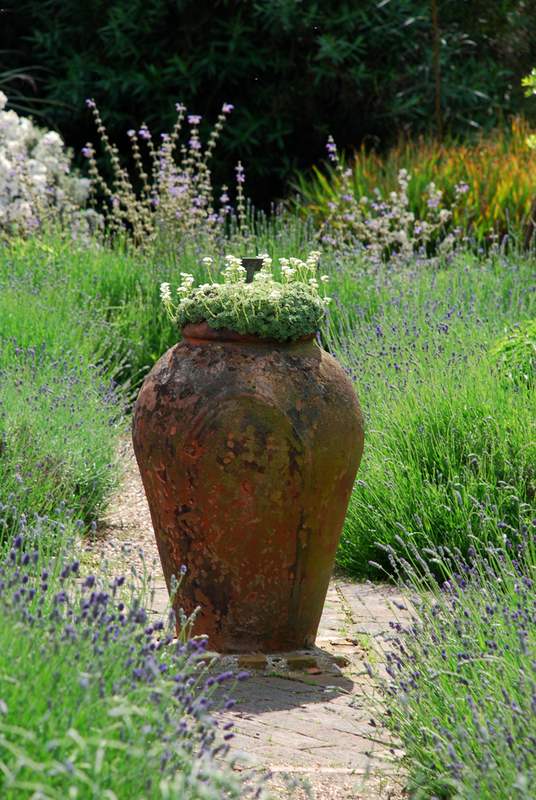 If you’re unlucky enough to have really heavy soil then it looks fabulous in pots too – this photo was taken at Cherkley Court in Leatherhead a couple of years ago and although it’s actually Lavandula x intermedia, I hope it gives you the idea of how great it can look. Unfortunately this beautiful garden is no longer open to the public. I think it looks best planted in the garden and it makes a really brilliant low hedge. I love the way it spills over the pathway blurring the edges and in the picture below where it enhances the beautiful terracotta urn. Both these pictures were taken at the Chelsea Physic garden in London. 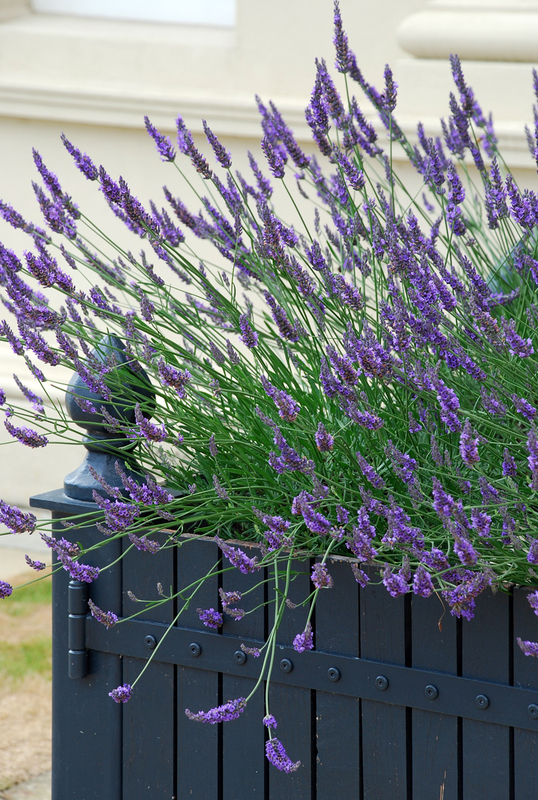 Although it is likely to need replacing after 10 years or so, Lavender is very easy to look after. It flowers on the new shoots so to keep it looking fresh, prune it back after flowering to just above the new growth. It won’t regenerate if you cut into the old woody stems so take care to ensure that there is some fresh growth beneath where you cut and you’ll be rewarded with well shaped plants and fresh flowers each year. 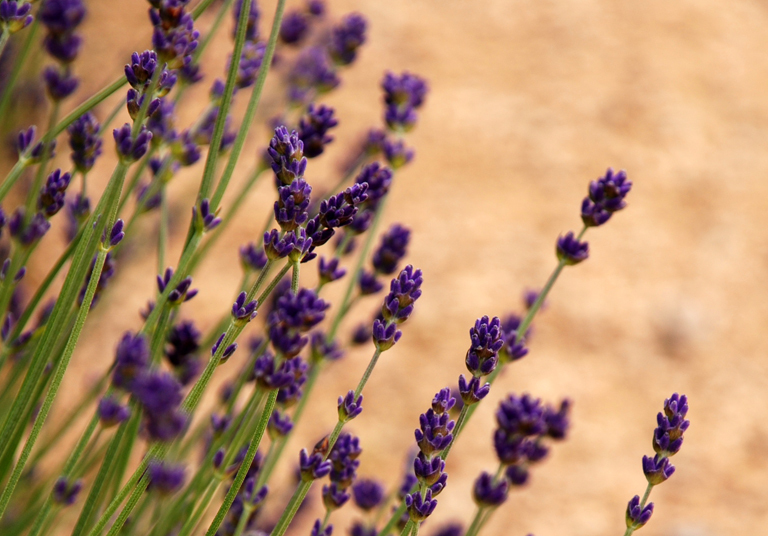 Other than its qualities as a plant in the garden, Lavender can also be dried and used for dried flower arrangements. 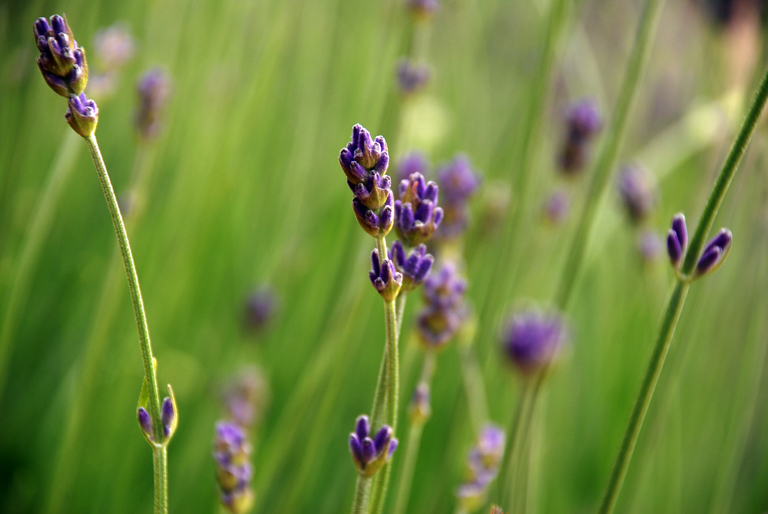 In addition, of course, lavender oil is often used in soaps and cosmetics for its scent and skin healing properties, but it’s also used as an aromatherapy oil to help alleviate emotional stress.